As designers, the natural world is a great source of inspiration. There’s something about being outdoors that rejuvenates the body and mind. Unfortunately, it’s not always possible to get outside for long periods of time during the work day. The emerging science of biomimicry has captivated the design professions. As designers have become more aware of the positive influence that nature has on our lives, there has been a shift towards focusing on bringing nature into interior spaces. Interior architecture has also been influenced by increasing popularity of Biomimicry among scientific branches and materials and forms in nature have begun to find themselves a place particularly in furniture design. It is not possible to see furniture samples influenced by microorganisms, plants or animal skeleton structure, designed precisely or amended and produced with macro or micro-size inspiration from the nature. Mantis Table, designed by Alvaro Uribe who was inspired by body parts and joints of the mantis. Introduced in 2006, Interface TacTiles are likely one of the first explicitly biomimetic building products to hit the market, and the company boasts that 39 million square yards of the modular tiles have been installed since then. 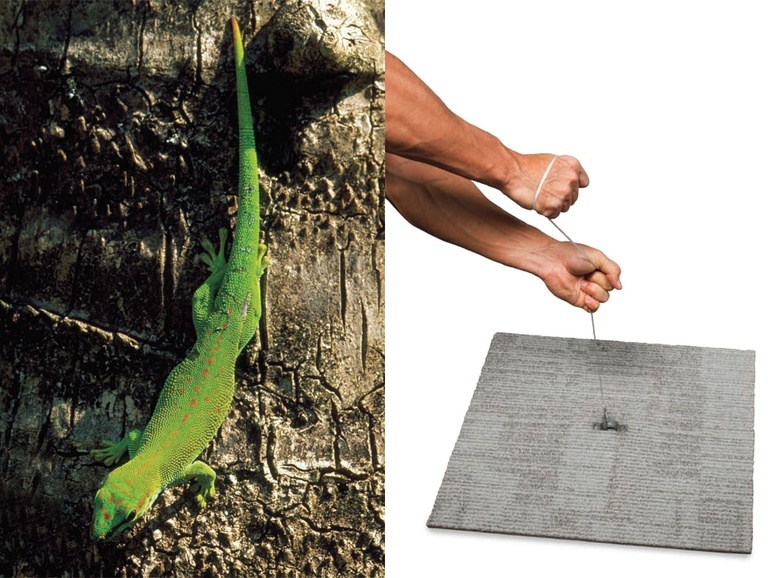 Inspired by the gecko, a lizard known for its wall-climbing ability, the glue-free installation system offers a more environmental, easy-to-use alternative to traditional adhesives. Bioluminescence is among the more accessible trends in the broad spectrum of biomimetic design, not least for its visual appeal. Biomimicry can help to create a new environmental standard for spaces, buildings, communities and cities worldwide. For designers and other design professionals, it opens up a whole new universe of inspirational ideas for transforming our interior spaces, while optimizing human and social well-being. And beyond the projects themselves, the principles of biomimicry will help our people and teams work smarter, design smarter, and truly connect our work with the natural environment.